So far, we can report on three successful aspects of the project. First, we have further streamlined the project’s data collection and logistical design, in part in response to institutional ethics questions. We will keep with the major data collection strategies we outlined in the proposal, but have combined the peer research assistant and transcriber positions both for efficiency and to roll-in training in transcription as part of the skill set we hope to impart on peer research assistants. 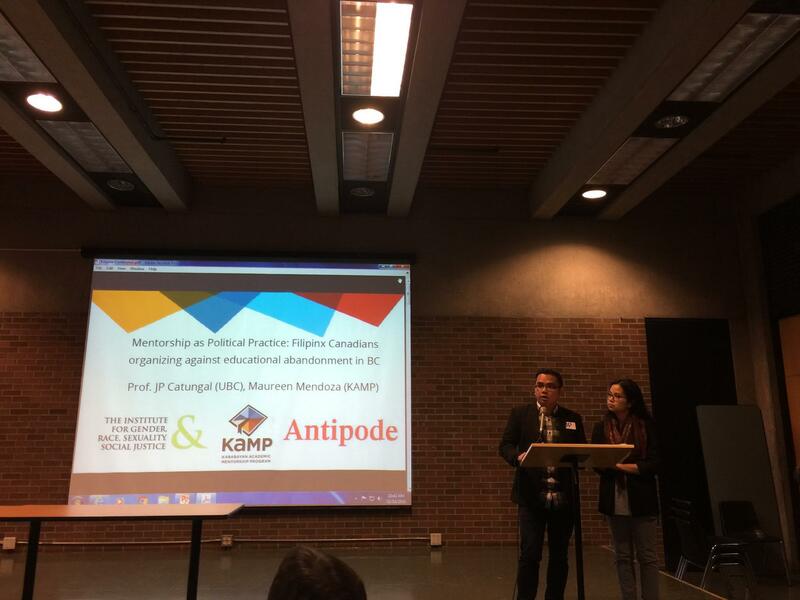 Furthermore, we have continued networking with the local Filipino-Canadian community, including students, through events organized and/or attended by the Kababayan Academic Mentorship Program and ones organized at UBC by the Philippines Studies Series. Second, we have also presented the political and theoretical groundwork of our project at the “Transnational Filipinx Studies” workshop at York University (Toronto, ON, Canada, November 2016), to which we were invited by convenor Dr. Ethel Tungohan. The workshop centered on the politics of community-engaged knowledge production in a comparative juxtaposition of Filipinx American and Filipinx Canadian research. We presented on our project alongside other community-engaged research works on Filipinx diaspora educational experiences in the Southern Ontario context. In addition, we are scheduled to present some of the preparatory academic theorizing and forthcoming results at future conferences. JP Catungal will be part of a panel on geography and education, which will inaugurate the Critical Geographies of Education Specialty Group, at the AAG 2018 (New Orleans, LA, USA, April 2018). He is also scheduled to take part in a feminist pedagogy workshop at the University of Toronto in Spring 2018. Finally, we are in the midst of receiving applications for the peer research assistant positions. By early December, we will have a roster of peer research assistants, who will undergo training and be ready to recruit participants and collect data. We expand on this below. Now that the peer research assistant positions are posted on the UBC HR website, we are awaiting applications, which we will review. We will conduct interviews and make hiring decisions before the end of November. We will be doing a community project launch in early December and will conduct data collection and research ethics training workshops for the PRAs in December as well. We will solicit interest from prospective research participants at the community launch as well as through emails to KAMP mentor and mentee alumni. We will then schedule some of these interviews in December through to January and February. We hope to finish all interviews (approximately n=40) by February and have transcripts produced by March in time to prepare conference presentations in Summer 2018. Sometime in late Summer 2018, we will also author a community report, which we will release through a community launch. In anticipation of and as part of this launch, we plan to do media engagement (e.g. writing op-eds and press releases) to facilitate broader public discussions about ethno-specific community based mentorship as a response to educational abandonment. We plan on participating in several conferences in Summer 2018, including the AAG in New Orleans (April), the Critical Ethnic Studies Association conference at UBC (June) and the International Geographical Union conference in Quebec City (August). JP has also been invited to be part of a workshop on feminist pedagogy, where he will also talk about this community based research project. In addition, we will target UBC-based opportunities to present our work, including our community-based research approach, through the Center for Teaching, Learning and Technology; the Equity and Inclusion Office; and the Philippines Studies Series. Along with the community report and media work, we are also planning to use conference presentations to “test out” ideas that we will eventually develop in full academic papers. 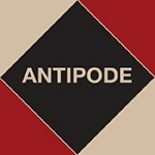 We plan on submitting to Antipode, in recognition of the Antipode Foundation’s support for this project, as well as to appropriate journals on the nexus of race and education (e.g. Race, Ethnicity and Education and Discourse: Studies in the Politics of Education).